History abounds with examples of government officials making decisions, well-intentioned or otherwise, that harm others. Unfortunately, these unintended consequences are never anticipated, and rarely considered once they occur. As the Tuttle Twins find in their latest adventure, central planning can ruin people’s lives. Nobel prize winning economist F.A. Hayek’s famous book The Road to Serfdom comes to life in this edition, showing that when people get what they wish for, they often get much more than they bargained. 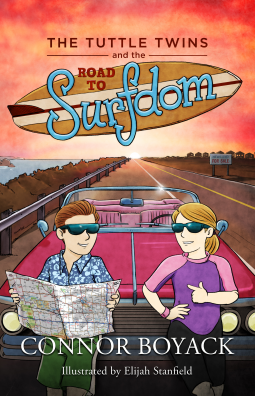 Read along as Ethan and Emily investigate a new road built to take travelers to a beach named Surfdom-and the disruption it brings to the entire community.